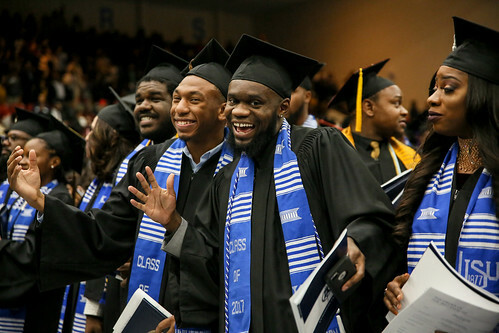 Nelson Mandela once said, “Education is the most powerful weapon which you can use to change the world.” As alumni of Jackson State University, we gladly accept our responsibility to inspire our young people, assist them along their educational journey and help prepare them to face the world that lies in front of them. Jackson State is not just in the business of education, we’re in the business of challenging minds and changing lives. The mission of Jackson State University National Alumni Association, Inc. (JSUNAA) is to support and advance the interest of the University. In fulfilling our mission to provide support to Jackson State, the National Alumni Association focuses our efforts in four major areas, fundraising, student recruitment, community outreach and membership. JSUNAA believes in the University’s power to transform lives and to better the state, nation and world. We are thankful for our beloved Jackson State University and its 140 years of excellence as a diverse, technologically-advanced four-year university steeped in history and committed to preparing its students to become global leaders. We are also thankful for the Jackson State University community, for your unwavering support of our dear old college home. • Become a member of JSUNAA, there is strength in numbers! • Give to JSU http://www.jsums.edu/giveonline/. Our vision is that all alumni are inspired and empowered to commit and connect to the University. The Jackson State University National Alumni Association, Inc. (JSUNAA) is proud of the University and what has been accomplished by the administration, faculty, staff, students and alumni since 1877. As we write the next chapter of Jackson State University’s incredible story, let us work in unity to ensure that our dear old college home fulfills its mission and continues to build on the legacy established by our leaders – past and present. This is OUR alma mater.